Huemor Designs is perfectly fine with having boutique status, something that appeals to small businesses and organizations seeking affordable Web design services. This company delivers superb digital solutions that do not dig deep into the pockets of valued clients. For example, an open source system may be suitable for e-commerce operations. Merchants in New York City can benefit from this firm's open source Web design that is considered to be responsive and versatile. Magento Hosting is definitely a responsive platform that can work well on mobile and desktop platforms. This is an e-commerce solution that enables shoppers to make transactions via their smartphones and tablets. 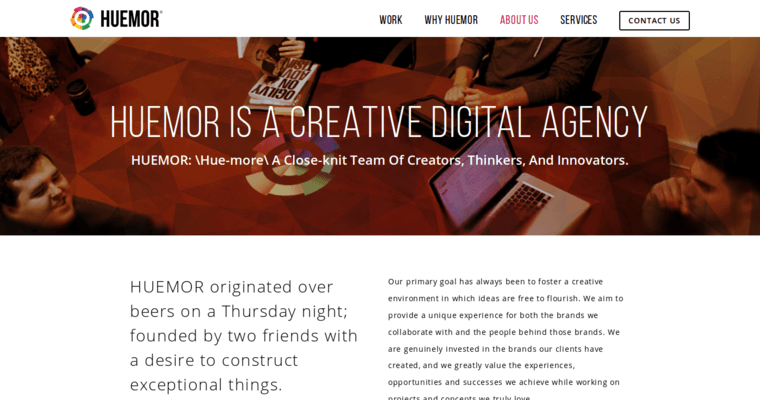 Huemor Designs also likes to set up WordPress templates that are ideal for blogs. The content that is uploaded to such an open source system can be properly displayed on mobile devices. Similarly, WordPress administrative controls are also accessible through smartphones and not just PCs.